​Carly Owens Embroidery is a one-woman show. All her meticulously crafted embroideries are created using traditionally rooted hand embroidery techniques in a modern context. ​Carly Owens is a contemporary hand embroidery artist and freelance designer. She recently received her BAD in Art + Design (Fibers & Surface Design concentration) with a minor in Arts Entrepreneurship from North Carolina State University. She has previously studied Jacobean crewelwork and goldwork embroidery at the Royal School of Needlework in the United Kingdom, couture tambour beading with Hand & Lock and patternmaking at the Asheville School for the Apparel Arts in Asheville, North Carolina. Additionally, Carly worked as a couture embroidery intern for the New York City based fashion label, Marchesa. Her current location is Erie, Colorado where she runs her embroidery studio. Hand embroidery is incredibly time-intensive and is certainly a labor of love. With each stitch, she is preserving the art of couture embellishment techniques and raising awareness of the beauty of hand craft. 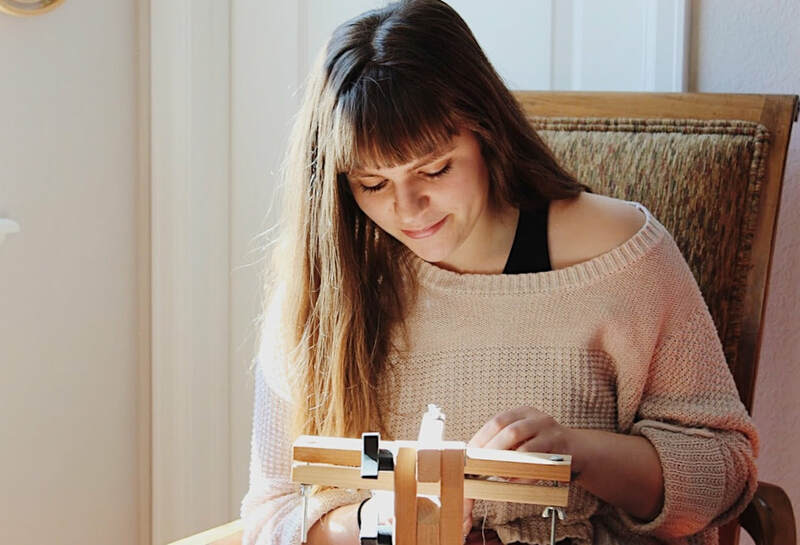 Carly is committed to sharing her embroideries and knowledge of needlework to encourage and inspire others to make. Carly’s sense of design is driven by color, texture and motif. She experiments with these elements to develop inventive surfaces. Ultimately, her designs are a dichotomy between play and art - made to be whimsical while also honoring tradition and utilizing the craft of couture making. Carly was selected as a finalist for the 2017 Hand & Lock Prize for Embroidery in the Student Fashion Category.